The PNOZmulti Configurator Version 10.9 from Pilz is now also available for offline simulation. Advanced manufacturing and logistics control specialist Red Ledge is launching an automated supply chain control system that fully integrates and automates warehouse management, manufacturing and asset management processes. The new PS product range of position switches from Schmersal Group offers varied application as all models can be used both as complete devices and as modular units. The base unit of the configurable control system PNOZmulti 2 from Pilz has grown: up to 12 safe expansion modules can now be connected on the right-hand side; a new output module with 14 semiconductor outputs for standard applications is also available. So larger projects can now be implemented simply and flexibly with PNOZmulti 2; several projects can also be managed in parallel. Panduit is releasing pre-configured and factory assembled micro data centres (MDC), which include all connectivity and cable management components necessary to enable rapid installation of switch, server, and storage devices. Midlands-based systems integrator Astec Solutions is UK Premier Solutions Partner for GE Digital with many years of experience implementing automation software solutions. A visit to Astec’s stand at PPMA Total will be, says the company, a golden opportunity to update SCADA, MES and Batch systems. Providing rapid and reliable deployment of Industrial Ethernet networks between the enterprise and plant floor with maximum design flexibility, Panduit has launched its new Universal Network Zone System. M.A.C. Solutions has added a new powerful software application to the ProcessVue Alarm Management software suite that incorporates a Master Alarm Database, a set of alarm rationalisation tools and comprehensive Management of Change functionality. Dyer of natural and synthetic fibres DP Dyers recently turned to distributor of pneumatic products and process systems, Thorite, to carry out modernisation of its dye batching system, which offered poor production flexibility, had unreliable back-up functions and no facility for data transfer. In line with Oldham's philosophy that no gas detection controller should be designed that does not take functional safety standards into consideration, the comapny's MX 43 controller has been awarded SIL 1 certification. The latest generation in compressed air management systems to be introduced by HPC Kaeser is the Sigma Air Manager 2 (SAM-2). Incorporating many features, including the capability to embrace the future technological benefits of Industry 4.0, the SAM-2 provides a valuable tool to assist complete system maintenance and reliability. 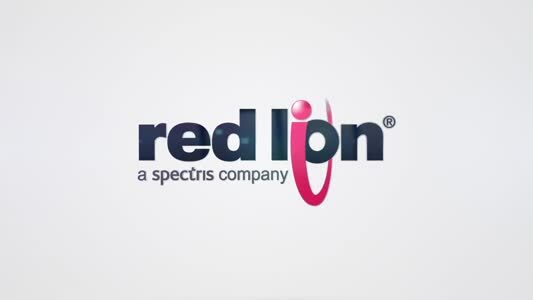 The addition of global 4G LTE network support to Red Lion’s RAM industrial cellular RTUs enable customers to easily connect, monitor and control high-bandwidth applications in markets including oil and gas, water/wastewater, factory automation, utility and transportation. Omron has enhanced the scalability of the Sysmac range with the introduction of the NJ1 Machine Automation Controller, which is fully compatible with the existing Sysmac range. At PPMA Omron will give original equipment manufacturers (OEMs) and integrators a real insight into new developments in integrated control, high-speed robotics, and how real-time data interchange between production-line operations and enterprise-wide IT systems can meet Industry 4.0 expectations. The Systems Design and Build Team at Thorite has perfected its expertise over many decades and provides high levels of quality in both the design and manufacture of its diverse product range. Sixnet series RAM industrial cellular RTUs from Red Lion Controls now feature a web-based user-configurable event engine that can trigger I/O and relays or send SMS text messages based on real-time operational data. What Does Windows 8 Mean For Test & Measurement?